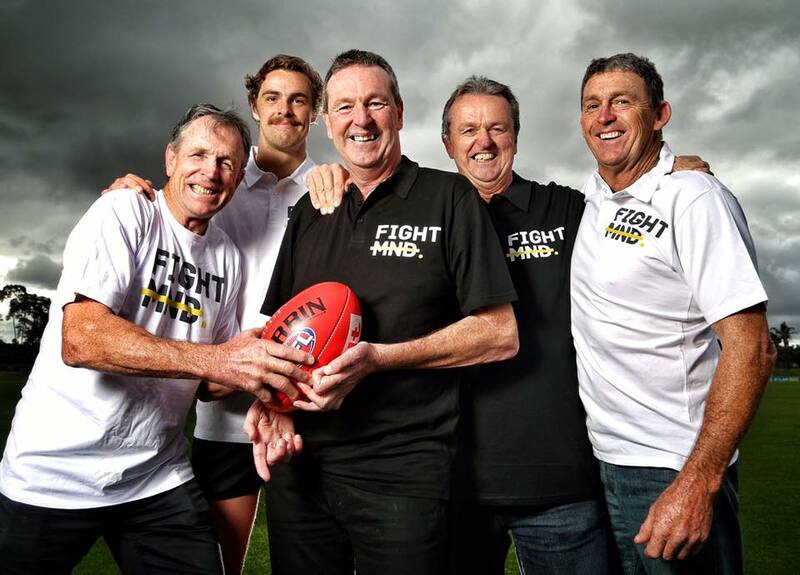 A posse of Danihers, including Neale and a few of his famous AFL brothers will be in Albury on Saturday to support a charity day, raising money to find a cure for Motor Neuron Disease. The wider Daniher family is banding together for Danihers versus 2AY All Stars football and netball matches, which includes teams filled almost entirely by members of the Daniher family, who originally hail from Ungarie. The Fight MND charity has been co-founded by former Essendon player and Melbourne coach Neale Daniher, who is in his fifth year with Motor Neuron Disease. Brother Terry Daniher is likely to don to the footy boots at the Albury Sports Ground at some stage, but will mainly act as coach for the Daniher football team, another famous brother Chris is also set to compete. 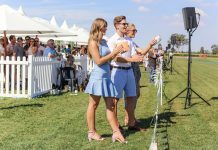 Terry says the family is appreciative of the support of the Albury Wodonga community in staging and supporting the fundraiser, which will see Neale attend, despite his ailing health. “It’s not an easy thing to see,” Terry said when asked about the impact the disease is having on his brother. “It’s been tough for the family, but to watch Neale go about it, he’s hell bent on trying to find a cure for the disease, but it hasn’t got any easier for him. 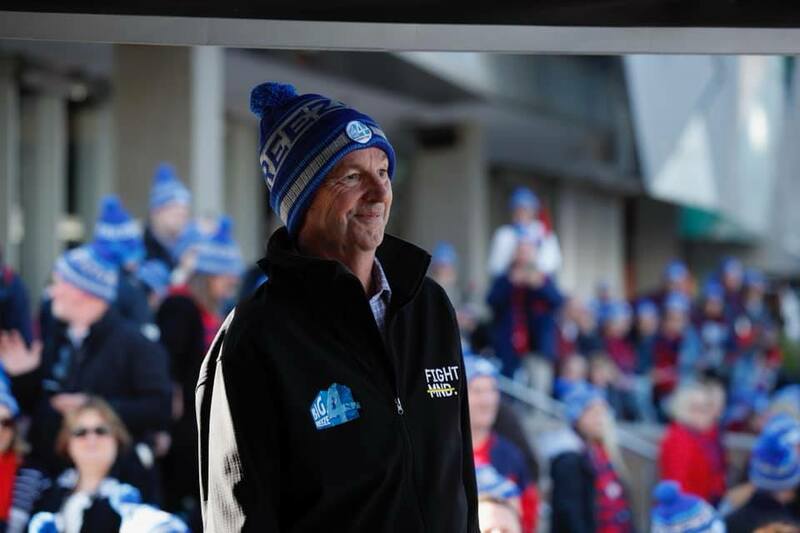 Big Freeze at the ‘G’ has been a major fundraiser for Neale’s cause. 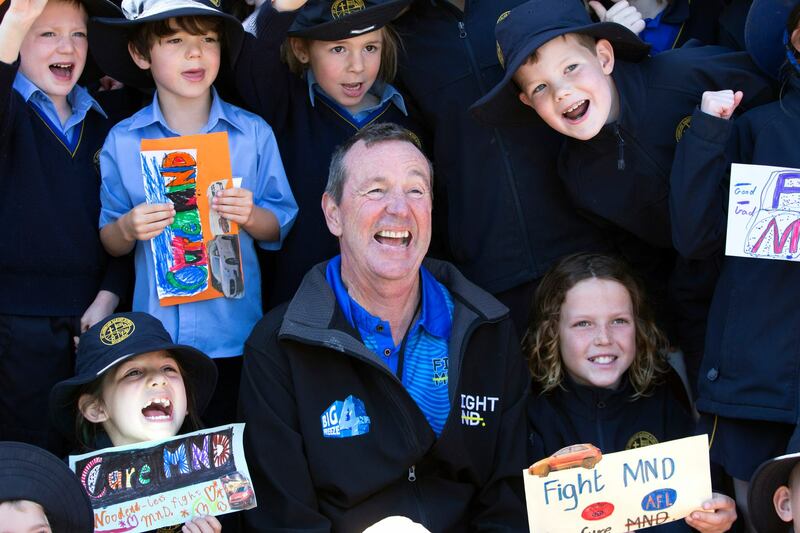 Photo credit: FightMND Facebook Page. 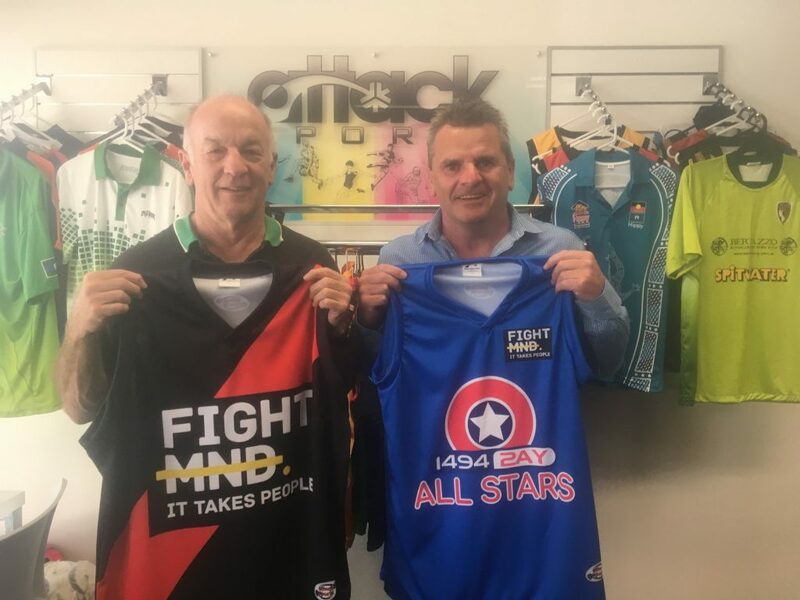 Neale’s determination to attend the fundraiser in Albury, despite his health is an indication of his steely resolve to make an impact on finding a cure. “We’re pleased Neale’s been able to make the effort, but it’s pretty dear to him,” Terry said. Danihers V 2AY All Stars footy guernseys as displayed by sponsor Steve from Attack Sport and Simon Corr, Sports Editor 2AY. With a disease that affects nerve cells that control the muscles that enable us to move, speak, breathe and swallow, the search for a cure is vital. “Neale’s been very fortunate, he’s going on five years now and might be into his sixth, he’s been one of the lucky ones, some of them last no more than 18 months,” Terry said. 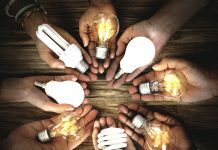 Like to keep up to date with other stories? Sign up to our free weekly newsletter here and we’ll deliver it direct to your inbox!